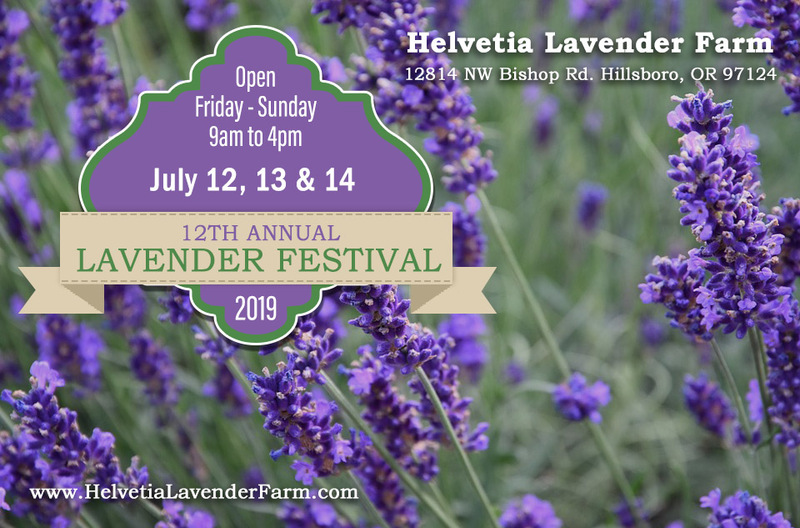 Nestled in the hills overlooking the Willamette Valley a short drive from Portland, Helvetia Lavender Farm demonstrates the versatility of lavender with 60 different varieties in landscaping and cutting fields. 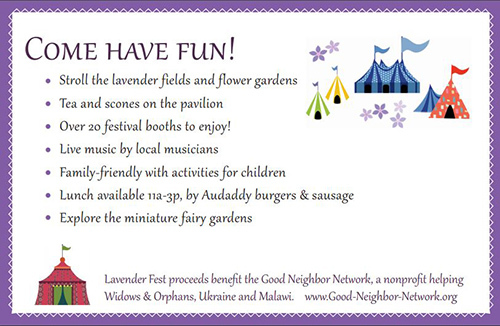 Join us for Helvetia Lavender Festival where visitors are welcome to wander through the gardens, cut lavender bundles, enjoy the view from our pavilion, and relax amid the scent of lavender. We distill our own lavender oil and have a large selection of products and gifts available. U-Cut Lavender. Vendors. Food & Live Music. Lavender is $7 per bundle. We provide baskets, scissors and twist ties.